If you have not deposited fiat to your Liquid account before, system will prompt you to "create" (register) your bank account first. This is for Liquid to verify the source of funds it will receive and therefore comply with KYC/AML regulations and authorities. See the Help Center article right above this one on how to add a bank account to Liquid. Or, if you've added a bank account already, read on to see how to proceed with depositing fiat. Select the currency you want to deposit to your Liquid account from the drop-down menu right under the Deposits header. Select a bank account and enter the amount you plan to deposit. Click Submit Fund Request to continue. The following popup will provide a Deposit ID and our deposit bank account details. When you make the bank transaction using these details, remember to add the Deposit ID to payment instructions/details for verification. Failure to do so will result in delay of crediting your Liquid account. Double-check our deposit bank account details (displayed by system after a Fund Request is created) before making the transaction. Deposit IDs are unique. 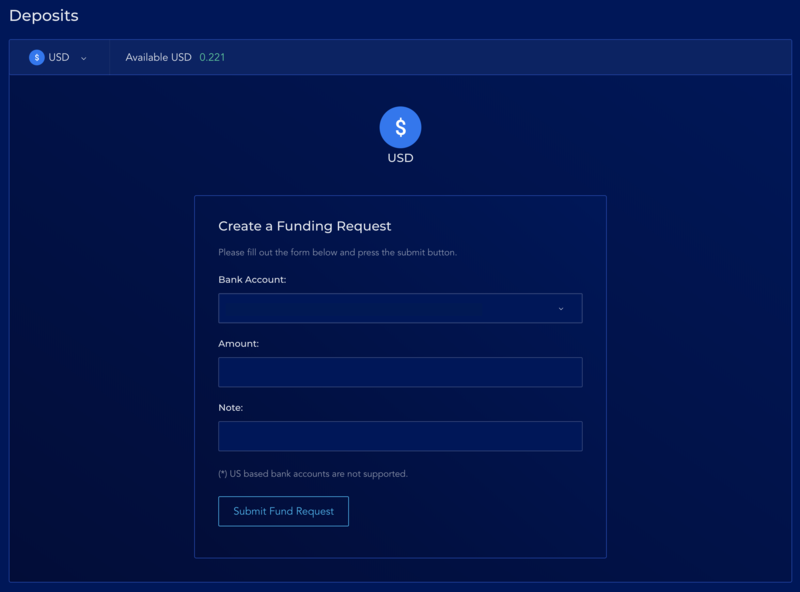 Please create a new Fund Request to get a new Deposit ID before each bank transaction to Liquid. Deposits made from a bank account that does not directly belong to you (the Liquid account owner) will be returned to sender. Any fee incurred will NOT be borne by Liquid. A Fund Request if not approved for 10 days will be cancelled automatically by system.